We celebrated Ate Kathrine's birthday at her favorite restaurant - the Grand Lux Cafe inside the Palazzo. 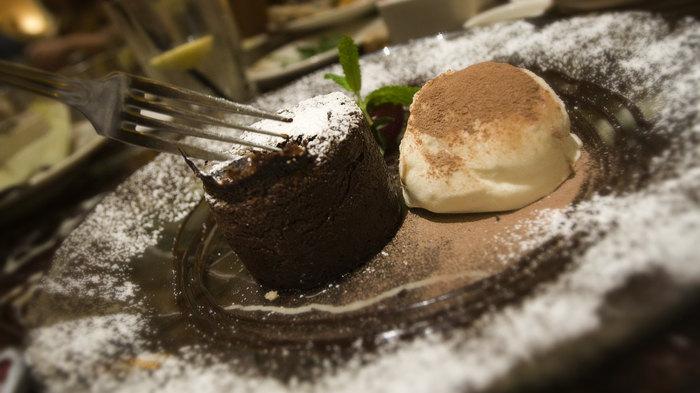 I was still full from the gigantic rib eye steak I had cooked on my new baby grill, so I just ordered a Mojito and this Molten Chocolate Cake. 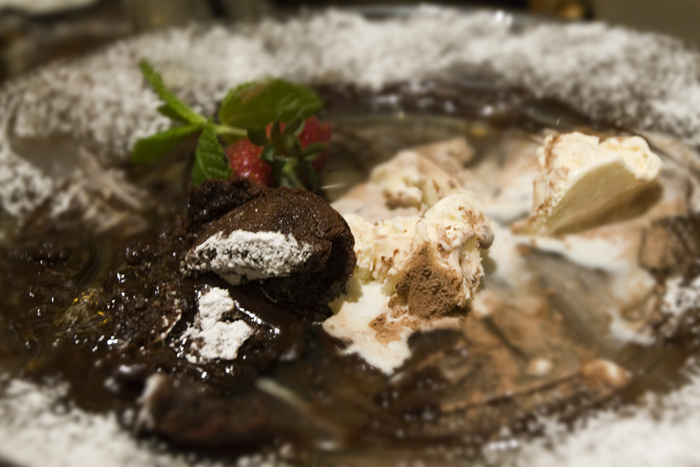 It was messy molten goodness! This was actually really good! Yeah... Grand Lux has a lot of good desserts.